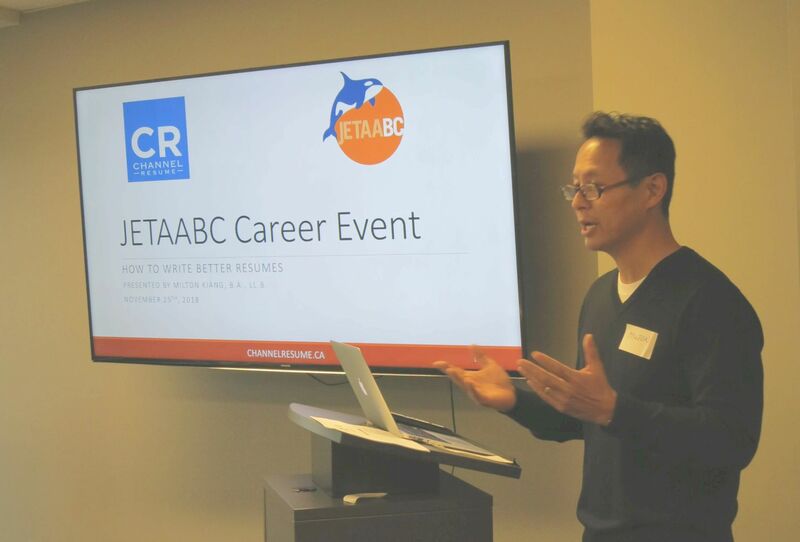 Posted December 4, 2018 by miltonkiang & filed under JET Career Workshop. 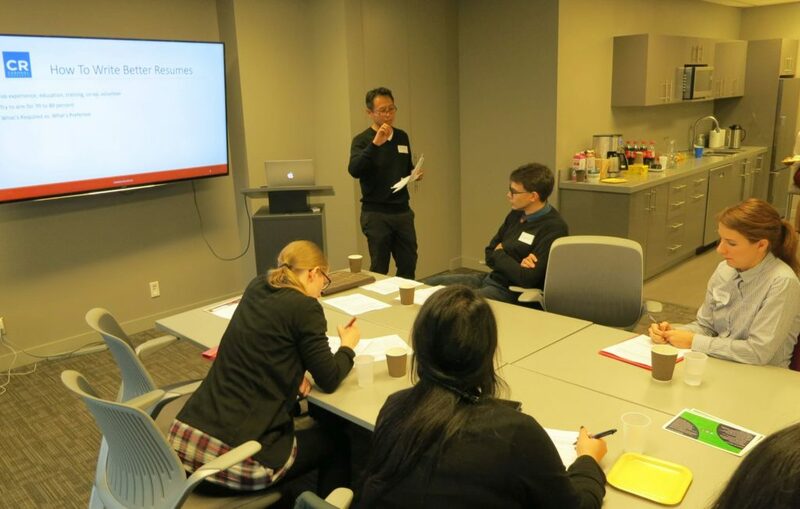 Last Sunday Nov. 25th, I once again had the opportunity of presenting a resume workshop to past participants of the Japan Exchange and Teaching Program (JET). (The last presentation I gave to this group was three years ago so it was good getting reconnected to the Program.) As some of you might know, I was in the Program decades ago in 1989, just one or two years after it first launched. 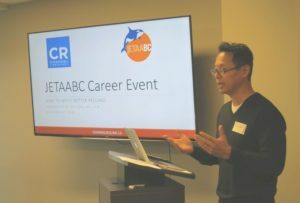 My presentation focused on how you can vastly improve your resume by highlighting your core skillsets (or as I like to say, your “core competencies”). These are skillsets that would be seen as most valuable to the employer, critical to success for the job at hand. As an exercise, I handed out sample “job openings” and asked participants to see if they could identify what core competencies would be required for the role. This gave a chance for people think about what the employer wanted, and to tailor their resume for the requirements of the job. JETs do have a range of skillsets they could offer employers – including presentation, communication, social media, teaching, tutoring, administrative, facilitation – all of which could be important to an employer, depending on the nature of the role. JETs shouldn’t hesitate to seek resume input from their peers, but ultimately, it’s up to you as to what should or should not go into your resume. Below are helpful articles pertaining to resumes, careers, and education. I cover topics ranging from how to improve your resume, to how to prepare for job interviews, to what to say (or ask) during job interviews. These topics usually pertain to questions that I get from my clients. If you have a question that is not covered in my blogs, please feel free to email me at milton.kiang@gmail.com.